For many, a common goal is to maintain as youthful an appearance as possible as we enter middle-age and beyond. Certainly there are myriad topical cosmetic products designed to do just that by reducing the appearance of wrinkles. While such products are all well and good, we should remember that what we put inside of us is at least as important as what we put on the outside of us if we want to reduce wrinkling. First and foremost, good nutrition and eating a healthy diet rich in antioxidant-providing fruit and vegetables is arguably the single most vital approach to maintaining a youthful visage. In addition, there are two other antioxidant nutraceuticals, which can also contribute to the goal of reducing wrinkles. These are astaxanthin and coenzyme Q10. The cosmetic effects on human skin by four mg per day astaxanthin orally were demonstrated in a single-blind placebo controlled study7 using forty-nine U.S. healthy middleaged women. 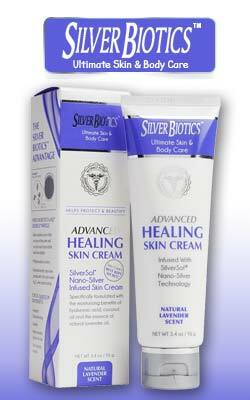 Based upon dermatologist’s assessment and instrumental assessment at week six compared to base-line initial values, the results were more than a 50 percent reduction in fine lines and wrinkles, about a 50 percent improvement in the moisture content of skin, and more than a 50 percent assessment of patients indicated a reduction of skin roughness by more than 40 percent. The authors of the study also indicated that astaxanthin may protect the fresh collagen in human skin from oxidative stress such as singlet oxygen induced by UV radiation (e.g. sunlight). It is particularly notable that the study was performed during winter and in Rockland, Maine, which is a harsh season and location that creates a very dry human skin condition. Typically, this also makes it difficult to observe any significant difference to the condition of the skin by using an oral dietary supplement. The fact that astaxanthin supplementation resulted in a noticeable and significant improvement in various skin parameters, speaks well of the effectiveness of this nutraceutical. Similarly, the effects of six mg astaxanthin daily was examined in a randomized, double-blind, placebo-controlled study8 involving 36 healthy male subjects for six weeks. The results were that at week six compared to start, significant improvements in two parameters, “Area ratio of all wrinkles” and “Volume ratio of all wrinkles,” and there were also significant improvements in elasticity of crow’s feet area and transepidermal water loss. Although structurally related to vitamin K, coenzyme Q10 (CoQ10) is not a vitamin, but rather coenzyme that helps to utilize oxygen as part of its important role in cellular energy metabolism. Research has also shown that CoQ10 functions in a number of other beneficial ways including acting as an antioxidant in scavenging free radicals which would otherwise cause oxidative damage to body tissues.9 This reduction of oxidative damage is especially important when considering that this damage can extend to our DNA. Clearly DNA damage does not bode well for maintaining a youthful appearance, and CoQ10 may help since clinical research has shown that this antioxidant can help to reduce oxidative damage to DNA.10,11 In fact, CoQ10 is actually part of our skin’s strategy to protection itself. Goodwin TW. Metabolism, nutrition, and function of carotenoids. Annu Rev Nutr 1986;6:273–97. Kobayashi M, Kakizono T, Nishio N, et al. Antioxidant role of astaxanthin in the green alga Haematococcus pluvialis. Appl Microbiol Biotechnol 1997;48:351–6. Yuan J-P, Peng J, Yin K, Wang J-H. Potential health-promoting effects of astaxanthin: A high-value carotenoid mostly from microalgae. Mol. Nutr. Food Res. 2011;55:150–65. Miki W. Biological functions and activities of animal Carotenoids. Pure & Appl Chem. 1991;63(1):141–6. Naguib YM. Antioxidant activities of astaxanthin and related carotenoids. J Agric Food Chem. 2000;48:1150-4. Yamashita E. The Effects of a Dietary Supplement Containing Astaxanthin on Skin Condition. Carotenoid Science. 2006;10:91–5. Tominaga K, Hongo N, Karato M, Yamashita E. Cosmetic benefits of astaxanthin on humans subjects. Acta Biochim Pol. 2012;59(1):43–7. Pepping J. Coenzyme Q10. Am J Health-Syst Pharm. 1999; 56:519–21. Niklowitz P, Sonnenschein A, Janetzky B, Andler W, Menke T. Enrichment of coenzyme Q10 in plasma and blood cells:defense against oxidative damage. Int J Biol Sci. 2007; 3(4): 257–62. Gutierrez-Mariscal FM, Perez-Martinez P, Delgado-Lista J, et al. Mediterranean diet supplemented with coenzyme Q10 induces postprandial changes in p53 in response to oxidative DNA damage in elderly subjects. Age (Dordr). 2012 Apr;34(2):389–403. Passi S, De Pità O, Puddu P, Littarru GP. Lipophilic antioxidants in human sebum and aging. Free Radic Res. 2002 Apr;36(4):471–7. Prahl S, Kueper T, Biernoth T, et al. Aging skin is functionally anaerobic: importance of coenzyme Q10 for anti-aging skin care. Biofactors. 2008;32(1–4):245–55. Gül I, Gökbel H, Belviranli M, Okudan N, Büyükbaþ S, Baþarali K. Oxidative stress and antioxidant defense in plasma after repeated bouts of supramaximal exercise: the effect of coenzyme Q10. J Sports Med Phys Fitness. 2011 Jun;51(2):305–12. Sakata T, Furuya R, Shimazu T, Odamaki M, Ohkawa S, Kumagai H. Coenzyme Q10 administration suppresses both oxidative and antioxidative markers in hemodialysis patients. Blood Purif. 2008;26(4):371–8. Lee BJ, Huang YC, Chen SJ, Lin PT. Coenzyme Q10 supplementation reduces oxidative stress and increases antioxidant enzyme activity in patients with coronary artery disease. Nutrition. 2012 Mar;28(3):250–5. Next Article Are You Sleeping on a Toxic Mattress?